The next Startup Stage will be quite special – it will take place as part of the Innovation Stage at the 3rd European Cybersecurity Forum – CYBERSEC 2017. You’ll also see presentations of three cybersecurity startups. 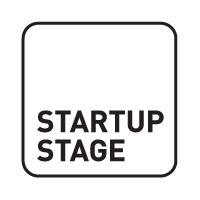 Startup Stage is one of the most popular startup events for tech and business community in Kraków. Participants can share their thoughts, ask questions, interact with invited speakers and meet new people from Kraków startup community. Project is supported by Województwo Małopolskie.